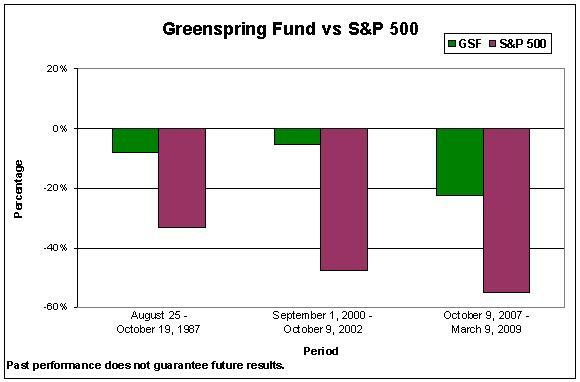 Historically, the Greenspring Fund has performed very well during periods of market turbulence. 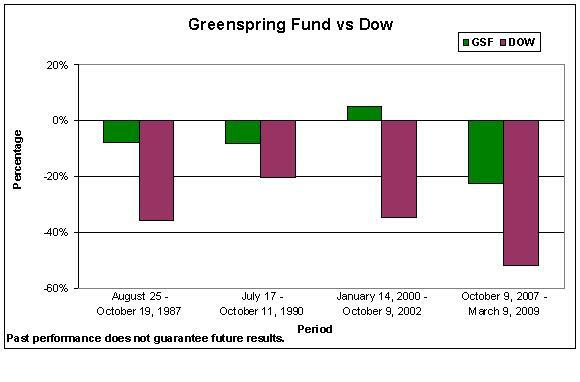 The charts below compare Greenspring Fund’s performance with that of the Dow Jones Industrial Average Index and the S&P 500 Index since 1987 during periods in which those indices declined by more than 20%. The Dow Jones Industrial Average is an unmanaged index of common stocks comprised of major industrial companies and assumes reinvestment of dividends. The S&P 500 Index is a market capitalization-weighted index representing 500 of the largest companies in the U.S. and assumes the reinvestment of dividends. You cannot invest directly in an index.